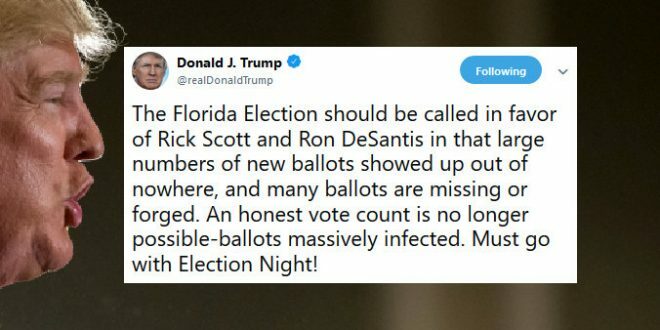 Trump: Florida's Ballots Are "Massively Infected" - Joe.My.God. Scott, the Florida governor who is running against incumbent Democratic Sen. Bill Nelson, and DeSantis, the former GOP congressman running for governor against Democratic Tallahassee Mayor Andrew Gillum, both hold narrow leads. NBC has rated both contests as too close to call.